The Castlefield Trio features torch heartbreaker Sarah LeMieux on vocals and guitar, the exuberantly joyful Joe Casillo on bass, and the groovy, mathematical Andy Chatfield on drums. 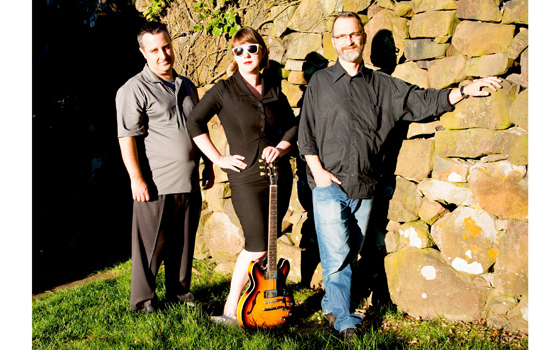 The trio has managed to be playfully classy, polished but daring at appearances throughout Connecticut since their debut in 2017, including the Old Lyme Inn / Side Door Jazz Club. At Wesleyan, the group will perform their original jazz and blues tunes, including world premieres by LeMieux and Chatfield.